Fire fighter day at MDA Summer Camp is a beloved tradition. Fire trucks roar into usually quiet fields, siren blasts replace campfire songs and fire hoses — powered by the campers themselves — rain down on their bunk mates, much to the delight of all involved. 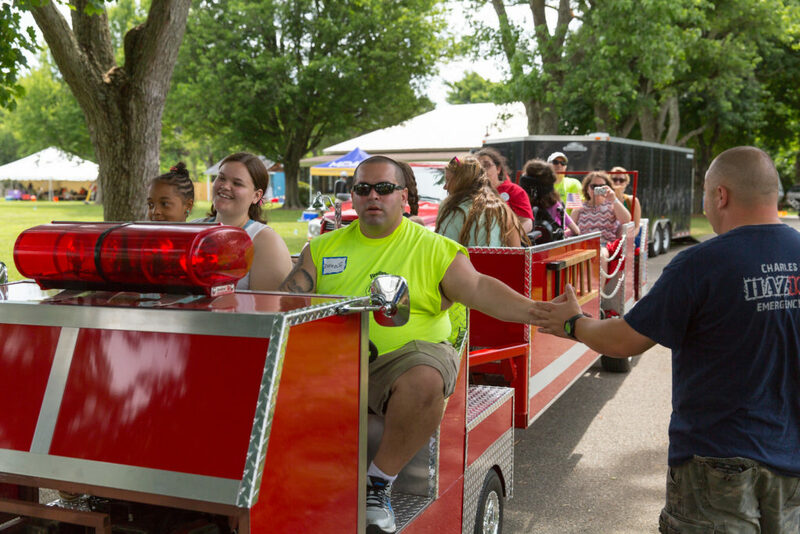 Ron Mintz, a lieutenant with the Baltimore County Fire Department and a member of Local 1311, had been attending MDA Summer Camp for a few years and knew what a special day it is for both the fire fighters and the campers. But five years ago, a young man asked Ron to bring a fire truck he could ride on the next year. The young man who Ron promised used a heavy electric wheelchair. “He just wasn’t one of the kids who you could take out of the chair and let them sit in the fire truck,” Ron says. So Ron made good on his promise: he built a fully accessible fire truck. Ron said he had built “go-karts and little things like that, but nothing this big.” When he looked for similar projects online, he came up with nothing. It took him about five months to come up with a design, spending time in between calls at the fire station planning, finding parts and making calls for donations. Since joining Baltimore County Local 1311, Ron had been participating in the MDA and IAFF’s Fill the Boot drive, so he knew about the lifesaving research and programs that MDA provides for kids and adults living with muscular dystrophy, ALS and other neuromuscular diseases. Ron spent about 2,000 hours and about $15,000 over six months building the 28-foot fire truck. He modeled the proportions on an actual hook and ladder fire truck, with the interior based on an accessible van with bench seating and wheelchair ties. The truck, complete with a wheelchair ramp, requires two people to drive it, including a tillerman at the back. “It drives just like a real fire truck,” he says. 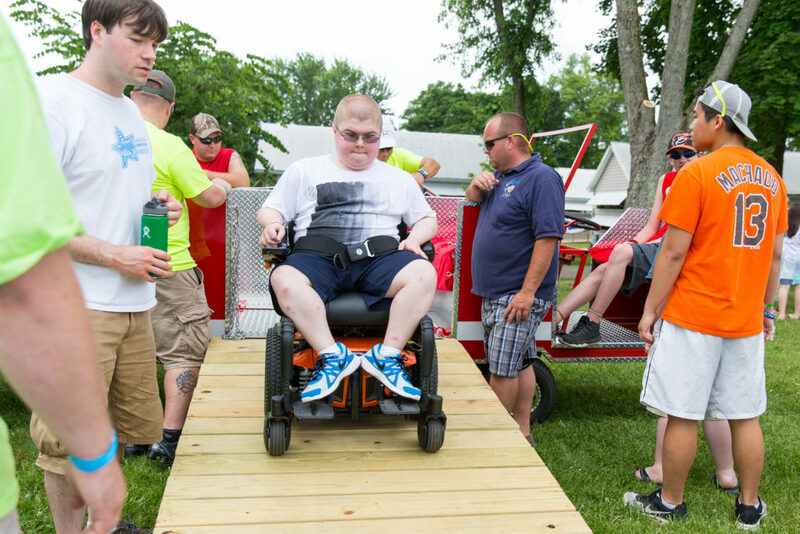 In June 2013, Ron arrived at the Baltimore MDA Summer Camp with a fire truck unlike any other. He and his son Andrew, who was eight years old at the time, custom built almost every aspect of the truck, using donated materials from C&O Distributors, Shepherd Steel, ESAB Inc., the Mintz family, CK Burners and the Baltimore County Fire Department. Join Ron and become a volunteer with MDA!